In 2004, a number of tagged koalas from French Island were released by DSE officers in Mt.Disappointment State Forest. It was feared that the koalas may not have survived the Black Saturday fires, but several have since turned up in surrounding areas such as Broadford and Flowerdale. A koala was found recently in Spring Valley Road near Coonans Bridge Reserve, Flowerdale, with a numbered blue tag in its right ear. This was reported to DSE and it was identified as a male from French Island that was released on Spur Road in October 2004. The large Manna Gums along King Parrot Creek would provide good habitat for the koala, but outside the forest it is unfortunately vulnerable to dogs, vehicles etc. 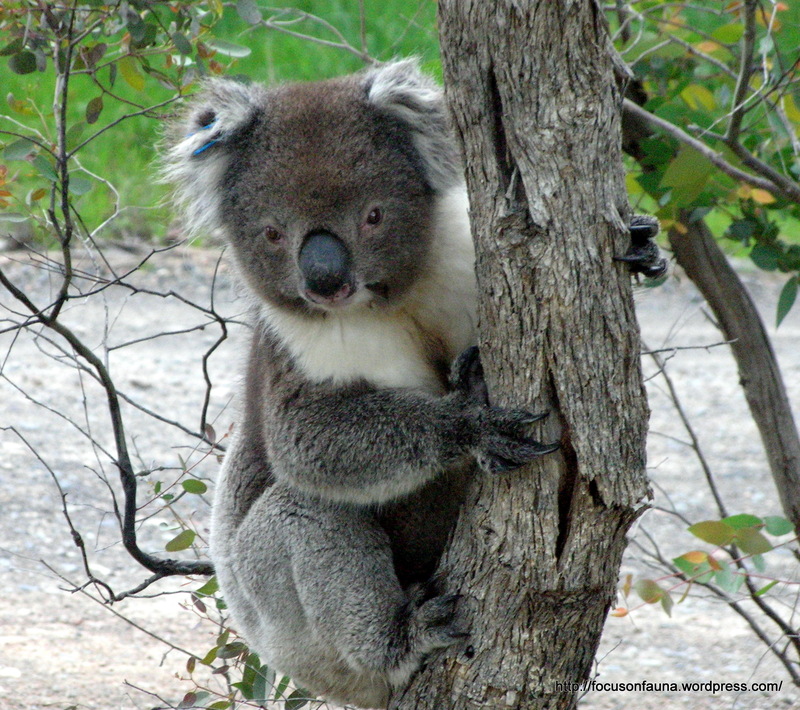 The koala pictured here was actually found along Upper King Parrot Creek Road, Strath Creek in 2007. The blue tag indicates it is also a French Island koala, which means that there was some dispersal from the forest even before the fires.